It’s officially fall, which means the weather’s taken a turn towards the cooler side of things and our thoughts are on all things cozy. The best part about this time of year, though? It’s still warm enough to enjoy your patio, and there’s nothing better than a warm fire to keep things toasty. So, grab a couple of throws, get comfortable, and start planning your fall s’mores fixings. 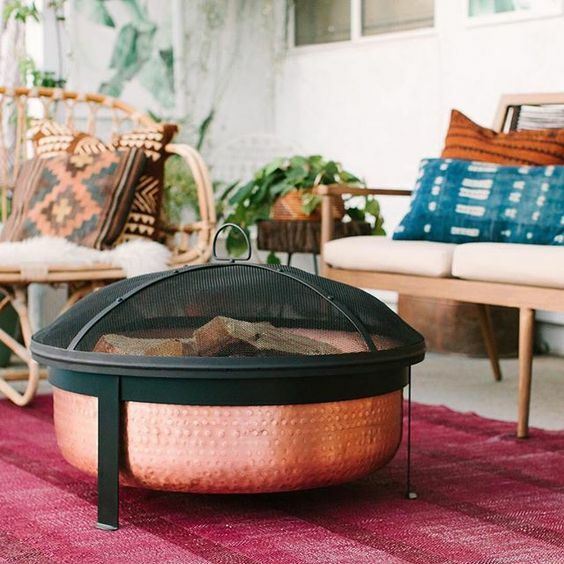 Because we’ve got a feeling that if you don’t already have a gorgeous fire pit like one of these, you’ll want to pick one up ASAP. Sleek and simple, fire bowls are stunning fire pit additions to your backyard. The fire is contained and often surrounded by beautiful glass, coals, or stone granules, which provides a nice visual contrast. Lit via gas, these are a cinch to start and even easier to put out at the end of the evening. Plus, they won’t give off the usual campfire smell that burning logs do – it’s the best of both worlds. If you’re looking to add a touch of art to your fire pit area, why not opt for a sculptural fire pit? Available in endless styles, these give new life to bonfires through artistic shapes and patterns. Go simple with an angular steel option or move more in the direction of unique and creative with a fire pit that doubles as a work of art when not lit. Regardless, it will make a stunning impact in your outdoor space. 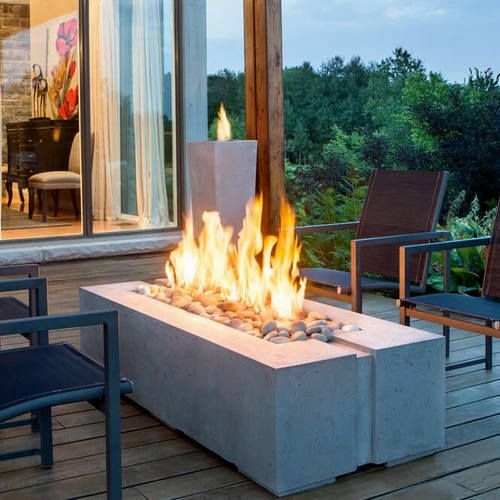 Table fire pits are not only beautiful and minimal in design, but they’re also incredibly practical. Large surrounding edges offer ample space to set down drinks or appetizers, keeping your fire pit at the center of your autumn entertaining. These gorgeous metallic fire pits are perfect for adding a touch of intrigue to your backyard. They’re classic in shape, but definitely stand out from the crowd in color. There are a variety of copper options out there, too, so you can choose whichever style best fits. From hammered to smooth and rustic, copper pits add a splash of warmth to your space that’s ideal for those crisp fall evenings. For a bold architectural statement, a sunken fire pit is a great option. By placing your pit below the deck or ground level, you automatically create visual interest and depth in your yard – something we absolutely love. 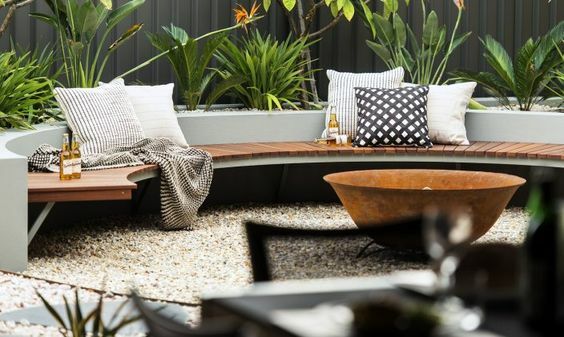 And whether you prefer to build in cushioned sofas or would rather opt for sleek wooden benches, a sunken fire pit makes for ample seating space – your guests will feel right at home. 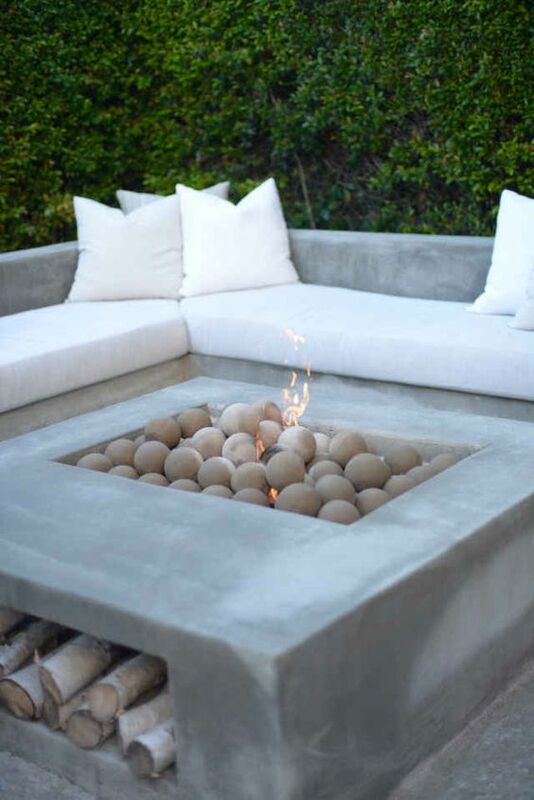 For a cohesive look, try a built-in fire pit on your patio. By using the same stone, concrete, or brick as the patio floor itself, your fire pit will feel intentional and you’ll be able to build your outdoor space around it. Rather than having a moveable/transient pit, a built-in one allows for a seamless transition visually, and it gives a sense of permanence to the space. The shift in seasons doesn’t mean we all have to retire to the indoors for six months. Take advantage of this beautiful cool weather with a crackling outdoor fire. 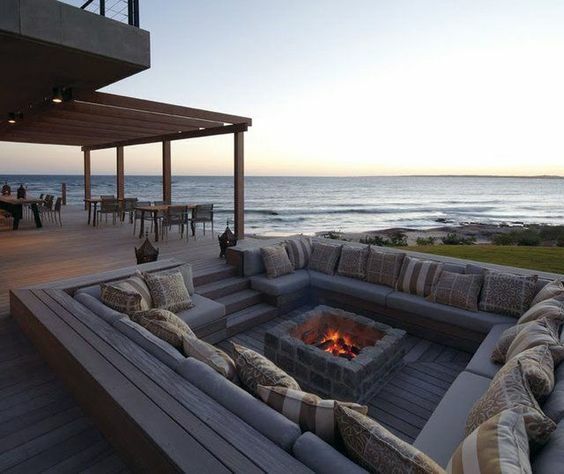 You’ll want to soak up the fresh air long after the sun has set (and with these fire pits, who could resist?! ).